Phen24 is a new weight loss product designed to help your body burn its stores of unwanted fat throughout the entire 24 hour day. There are two bottles of pills in every box; one is to be taken in the day and one is for the evening before bed. This is a departure from the usual format of most fat burners on the market, which rely heavily on the inclusion of stimulants. 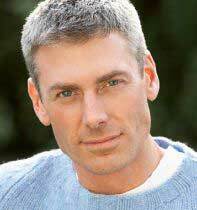 Stimulants cannot – or should not – be taken close to bed time as it will disrupt your sleep patterns. This in-turn means that you cannot really get the advantage of your hours of sleep at night to further your weight loss goals with those products. So, Phen24 gives you a second dose to take at night. What’s more, that evening dose actually helps you sleep better and more deeply, while burning more calories. 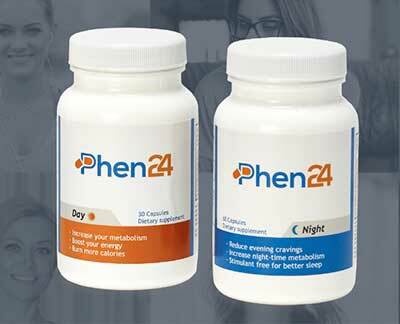 To get the most out of Phen24, it is best to follow a healthy diet and get at least 4 hours of exercise in a week. Diet pills are much more effective when you combine all of these elements. The Day pill has been formulated to give you an energy kick – both a quick boost and a slow release increase – to keep your levels more even throughout the day rather than spike all at once in the morning. Of course, the main point is to burn fat which is exactly what the ingredients that boost energy do. They are encouraging your body to use fat as fuel for your activity. The evening pill is a little more subtle. It encourages deep sleep while keeping your metabolism ticking over in the background. Also, it suppresses your evening appetite so you aren’t eating useless calories before bed. If you exercise regularly then you might already know that exercise gains come overnight as you sleep. Your muscles strengthen and your energy levels recover. The better and longer the sleep is, the more your body can achieve overnight. It’s the same with fat loss, and Phen24 can speed things along further. TIP: Cool down your room to activate Brown Adipose Tissue (BAT) which burns your unwanted fat even more overnight while you sleep. 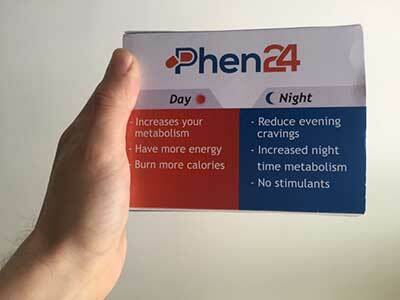 Due to there being 2 separate pills / doses for Day and Night, there are 2 bottles of pills with every order of Phen24. By blending a fast acting stimulant with a slow release one, the day pill keeps your metabolism and energy levels elevated throughout the day. There are also several other micronutrients present to ensure you are getting enough of the most important elements while you are cutting back on calories. Several of the ingredients below are included to help you get a more restful sleep. Others boost your fat-burning processes without stimulation. The daytime pill contains stimulants which is the only concern for people who are sensitive to them. Otherwise, if you tolerate stims it should be fine. 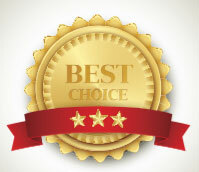 Phen24 is backed by a no-risk 60 day money back guarantee, which is actually 67 days so that you have time to receive it in the mail and then use it for 2 months. Yes, you can use the product for two months and still return it if you are not satisfied with the results. Just make sure you keep the packaging and follow the returns procedure. Phen24 is available from the product website only. This is to ensure you are buying the genuine supplement and allows you to take advantage of the special offers. Individual packages of the Day and Night bottles are a little pricey, however purchasing 2 (or more) bottles comes with significant savings. Also, worldwide shipping is free if you purchase 2 or more bottles. Phen24 strikes a great balance with the daytime and evening ingredients. They really bring the best out of the diet plan and exercise hours you put in every week. Just to burn more calories during the night while getting a good sleep is enough to make this supplement stand out ahead of the competition. 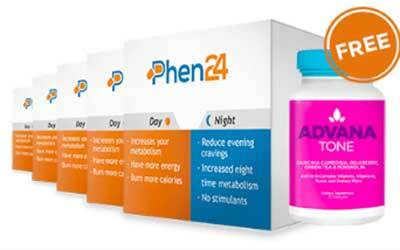 The boxes of Phen24 come with the 2 bottles: one for day and one for night. Placing single box orders is the most expensive way of doing it, but there are good special offers available on 2 or more bottles, PLUS the free worldwide shipping. You may also get a free different supplement for even higher orders. We recommend Phen24 for the man or woman who is serious about shedding the fat.